So why exactly do I love them so I hear you cry? Because their styles seem to hit the nail on the head in terms of timeless, classic designs which never date. More over their high quality production/leathers means they also never age and if they do it's only for the better (you know, like a fine wine)! Don't believe me? Well then, I'll put you in touch with my lovely mother who's been wearing the same Russell & Bromley winter boots since the eighties (even more proof in the pudding... I've since taken a pair of patent dream boots off her hands which I feature heavily year after year on my social media)! Think of it this way not only are you investing in a timeless shoe, in years to come you'll have a sort after vintage design in your possession... I mean isn't that the point of an investment? Treating yourself to a touch of luxury is ACTUALLY logical! I absolutely adore Russell & Bromley's quintessential British branding and shoes to match! Two styles which for me rein supreme as Russell & Bromley staples are the lace up boot and the loafer. For me they never get these to shapes wrong! 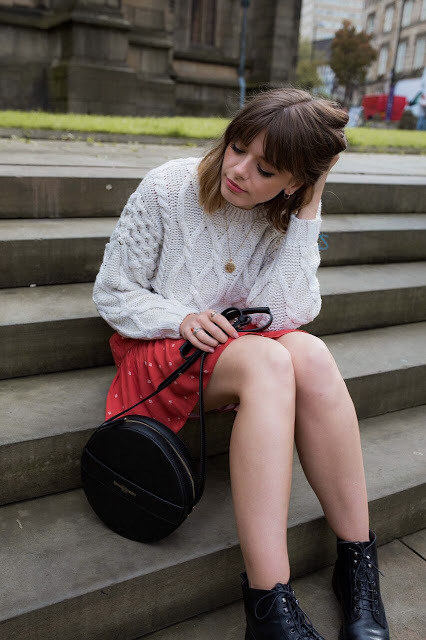 I've been wearing their Chester loafers and Berkley lace up boots religiously for years and have yet to grow tired of them (if they're good enough for Alexa Chung, they're good enough for you). 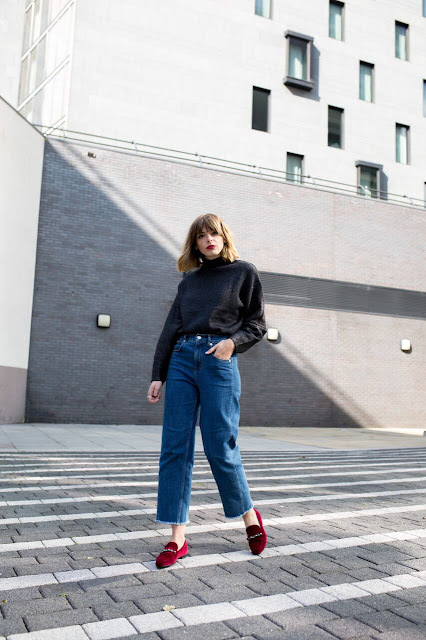 As I feel these are both joint "hero product" from one of my favourite footwear brands, I thought it would be nice to show you how to style two very different shapes in two very different ways! So you can get a feel for how versatile they actually are! 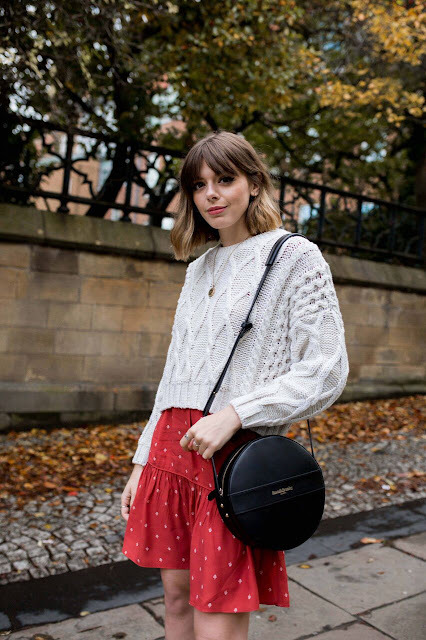 Firstly I chosen a style from Russell & Bromley's A/W17 range called the Belmont and this is really a design they bring out year after year which kind of verifies the point I was making on how classic this style boot is! I absolutely love the old school, "heritage" look to these boots! They have that real "vintage" inspired feel to them which I adore. One of the great things about the Belmont along with all Russell & Bromley styles is they use Italian leather so their styles always age super well, the colour tends to deepen and the texture softens, so in time these boots will have almost changed shape to fit my feet... Like they were practically custom made just for me! Fancy! 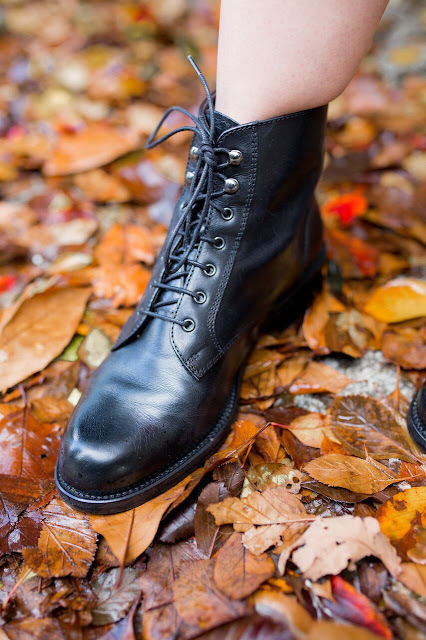 Now a big trend I'm seeing at the moment is this kind of Victoriana style lace up boot and the Belmont fits perfectly into this. I particularly love the high rise of their shape and the eyelet lace up detailing for that super Victorian look. 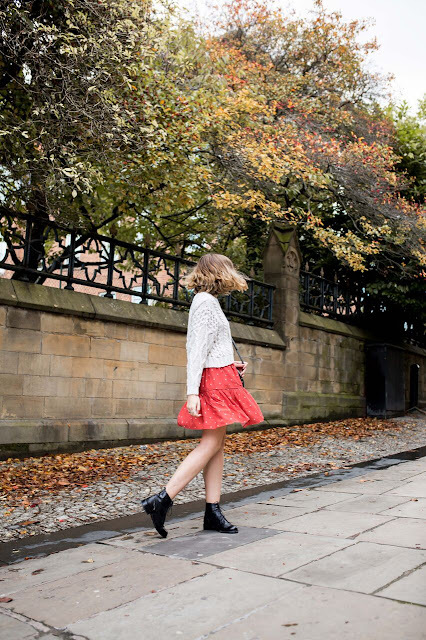 I've styled mine in quite a classic Autumnal look with a cable knit jumper and rust coloured dress which stirs the boot away from gothic Victoriana feel into a more day time, "preppy" inspired look perfect for winter strolls! 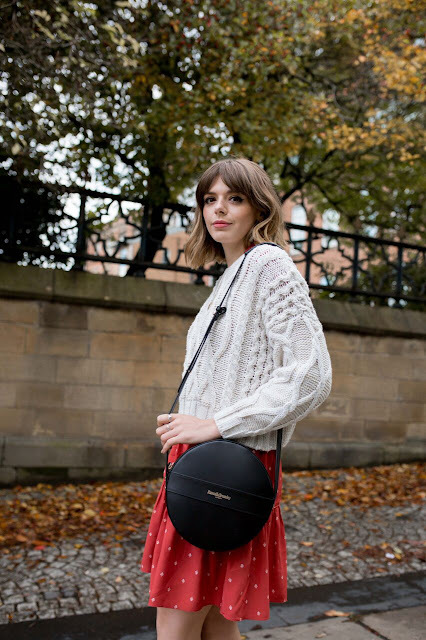 I finished my look off with another this season must have, the circular bag! 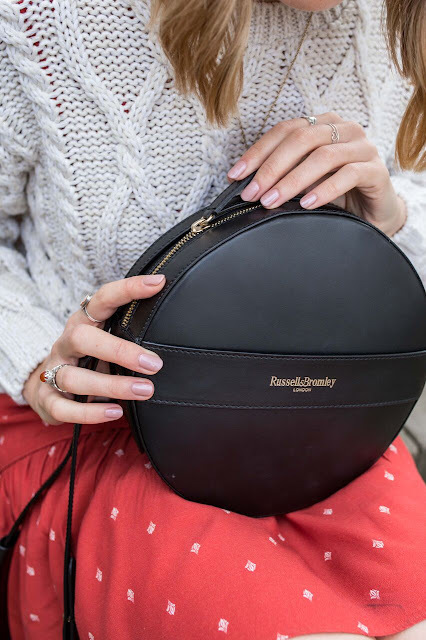 I can't get enough of this shape at the moment and this Russell & Bromley Rosa Cross Body Bag ticks so many boxes for me. 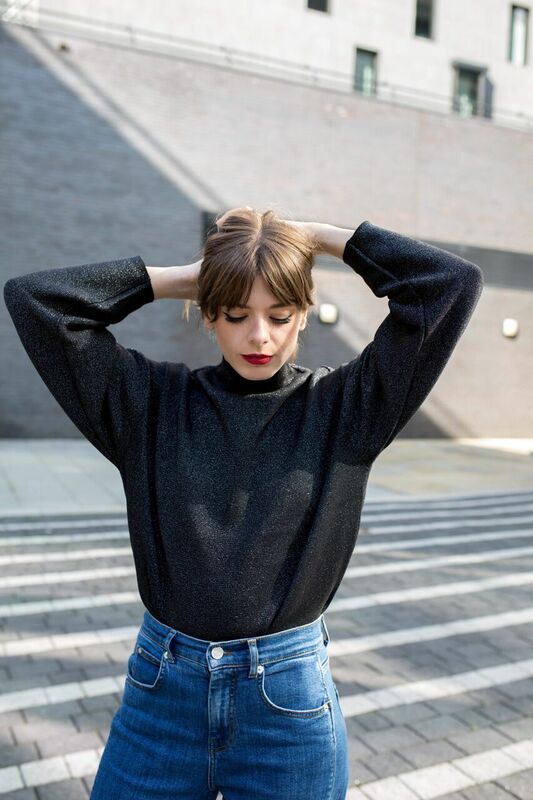 It's really simple in design so it's ridiculously easy to style for every day wear for a more modernise look... BUT (and here's the real winning detail) the hand strap at the front means you can transform your bag into a clutch for evening wear too!! Ingenious! Secondly I've kind of mixed things up a bit with my choice of loafer here. 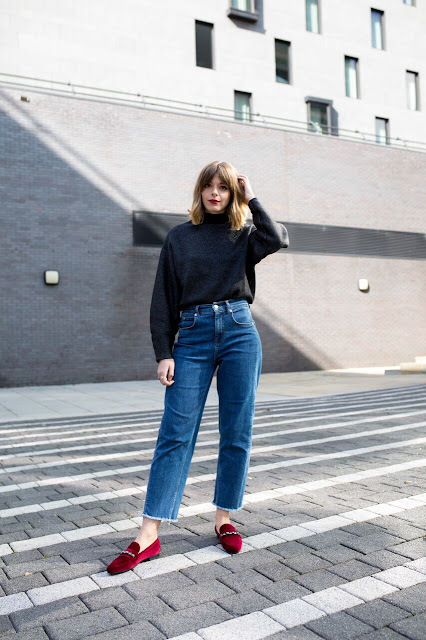 Ordinarily as mentioned before I would always opt for the Chester for a easy, day time look but I wanted to show you a completely new way to wear this style footwear! Instead I chosen another one of Russell & Bromley's A/W styles aptly called "Carnival"... I presume because they're like a party in a shoe! This design kind of takes the classic shape of a loafer and turns it completely on its head giving it a super modern feel. I absolutely love the rich, vibrancy of the berry colour teamed with the luxurious dimante detailing around the strap for that super glamorous "winter party" feel. The great thing about this particular design is although is a little more of a "wild card" choice, we've seen velvet footwear come back year after year so you can rest assure that these will be see you through as many winter as you dane to wear them! 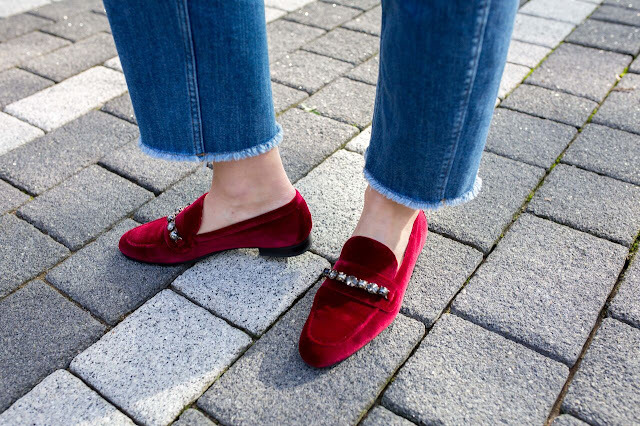 I've decided to mix things up even more and show you how versatile a shoe like this can be by styling these glitz and glamour loafer for a more casual, evening outfit. 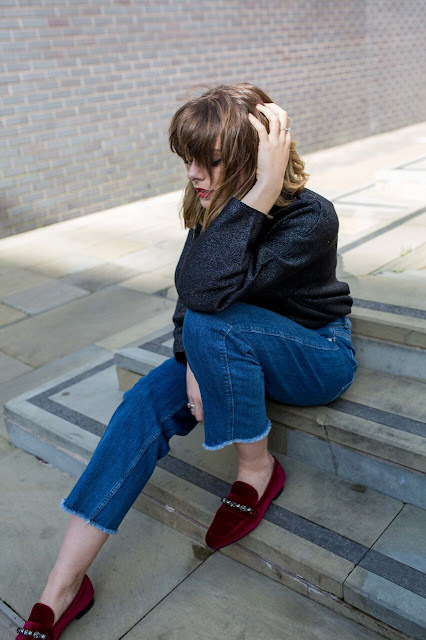 For me the Carnival loafer kind of steals the show from the rest your outfit so it's best to keep things simple. I've worn mine with a classic cut jean and a black, glitter jumper to tie back in with the black dimante detailing of my footwear. What I really love about an outfit like this is it really lets me shoes do all the talking and it allows that dreamy berry velvet to colour pop right out for the world to see. A shoe as pretty as this one deserve to be shown off surely! 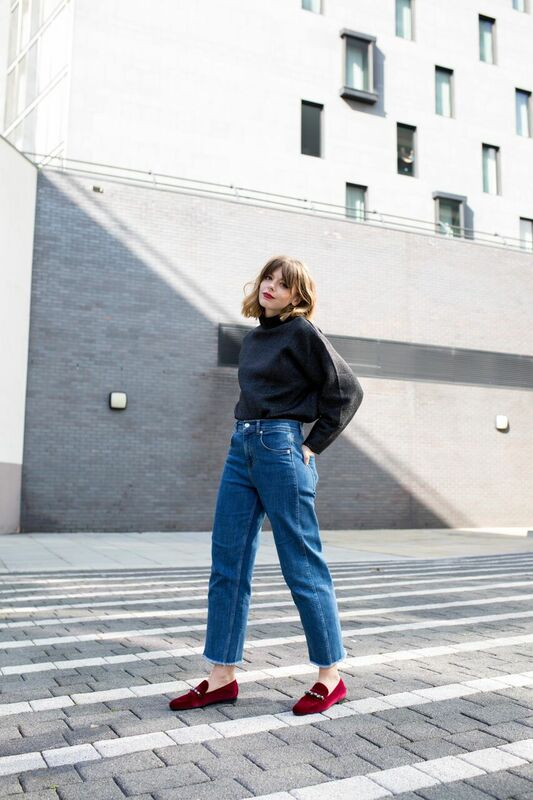 So there you have my two Russell & Bromley staple shapes, styled in two completely different looks. Your Belmont boot for California dreaming on a winters day or your Carnival loafers for standing out in a crowd and moon dancing the night away. Both effortless stylish and undeniably timeless. Which ones tempt you more into a touch of winter luxe?